I started making pcv shakuhachi some time ago using Molado's instructions from YT. I cut 3/4" pipe to 54.1 (ca) but sound seems to be higher than D (something between D and D#). I read somewhere this problem may be caused by wrong embouchure. But when I try to change lips position there's no sound at all. I wonder should I make shaku tuned to itself or try to find a way to tune it to D.
You might try cutting the pipe longer. The standard bamboo 1 shaku 8 sun is pretty much 54.5, but can even go longer depending on other circumstances. I notice lots of people who have little or no experience with shakuhachi, but want to start off by making them. This seems all backwards to me. How would you really know you had gotten it right? Would you make a violin without knowing how to play it? I doubt it. Same should apply to shakuhachi. I know money can be a problem, but if you want to play shakuhachi why not start out with a Yuu, which is pretty cheap, and is known to be a good, functional shakuhachi. Then, later, once you know how to play, you can entertain thoughts of fiddling around and making shakuhachi for fun. Also, the Yuu, while it is plastic, looks and feels much more like a 'real' shakuhachi, than those pvc tubes. At least I think so. My advice: get a Yuu. It will not be a decision you will regret. I notice lots of people who have little or no experience with shakuhachi, but want to start off by making them. This seems all backwards to me. Although I agree, imo shakuhachi are overpriced. Paying 2000$ (or 450 in case of Yuu) for bamboo (or plastic) tube sounds to me like bad joke. I'm saying this because string instruments which require more work and attention from their maker are cheaper than shakuhachi. So having to choose between trials and mistakes using pvc or paying more than it's worth for bamboo shakuhachi - I choose trials and mistakes. Quartertone higher? The pitch isn't that bad actually. Last remining way is to cut the flute to next octave D.
But what lenght would that be? completely correct. if you can't yet properly play shakuhachi, you can't possibly tune a shakuhachi with any accuracy. and you can't learn to play properly on a shakuhachi that is not properly tuned, so you end up with a self-perpetuating condition. I would disagree about work and attention. I don't know about string instruments per se, but altho shakuhachi seems to be a simple instrument, an ENORMOUS amount of work goes into making a good traditional shakuhachi. I've been studying making with Perry Yung, after playing for about 14 years, and I haven't yet even ventured into the world of with-ji paste instruments, but can say just a simple spot-tuned natural bore shakuhachi takes alot of time and effort, not to mention the time and effort underlying the development of playing ability in the maker.... and the bamboo itself, a nice piece of madake, is going to either cost you $100 plus or the time and effort of harvest and curing.... there's alot behind a simple bamboo tube. PVC is never going to give you a really functional shakuhachi, since it has a completey cylindrical bore profile, but it will be OK for an octave and a half or so. I agree that many shakuhachi seem overpriced, but acutally handmade instruments are much more difficult to make decently than a string instrument, which will play in tune no matter how wrong the plate profiles are. If you have no money and have to start with PVC, I suggest you do this: cut it long to begin with and continue to cut it shorter bit by bit until you get a good D. Now start drilling holes where you think they should be. If they are in the wrong place plug them and drill another and another until they are giving you the scale you want. You now have a prototype that plays decently, and so you need only transfer the measurements to another cheap piece of PVC and make your flute. Sometimes they are overpriced, I think you're underestimating the workmanship. It wouldn't work to cut it to the next octave because short shakuhachi are very hard to tune and get playing past the 1st register. As whether to get a Yuu or not, it really depends on your goals and what path you want to take to get there. For playing in the park to the butterflies you don't need much. My thoughts are that playing in the park to butterflies is a good place for an adult to start, and often all an adult who picks up shakuhachi wants to do. But it's not the only good place to start, I just like it because it generally is less likely to cause frustration levels that could lead to quitting. Money are not the thing that holds me from buying real shakuhachi. Paypal is. I live outside US and I have no experience with paying this way. 100$ is good price for plastic flute and just fine for beginning. Still I'm concerned about using Paypal or Ebay (no credit card). I just used string instrument as one analogy. My point was simply that you should first learn how to play, then worry about making. I don't mean to single you out, it's just that lots of people are 'budding makers' before they know even how to make a note. By the way, the guy that sells the Yuu's on ebay is a very approachable, and nice fella. If you explain the situation to him, he probably would take a cheque, wait for it to clear, then mail the instrument to you. Problem sloved. It would be worth a try. Yuu is cheap, and plays well. As I said, it feels more like a shakuhachi than a pvc tube. But maybe that's me. Later, if you stick with it, you can save for a bamboo one. Even when you have other, more expensive bamboo shakuhachi, you will hold onto the Yuu, as it is a handy backup and goes anywhere without worries. Otherwise, I think Glenn said it better than I did. Practice, then more practice, then a little more for good measure, then, and only then, entertain the notion of making an instrument. Shakuhachi looks simple, but it is a moutain to climb, and a rather tall one at that. My point was simply that you should first learn how to play, then worry about making. I don't mean to single you out, it's just that lots of people are 'budding makers' before they know even how to make a note. I know I'm example of such zealot myself who having no knowledge on subject of his desire in process of collecting anyting related often loses essence of what he seeks. Something like Van Gogh's fascination with Japan - maybe he had a lot of ukiyo-e paintings but did he knew what Japan really was? By the way, the guy that sells the Yuu's on ebay is a very approachable, and nice fella. Could you give a link? He includes a free Skype lesson from Chikuzen, you get a good instrument and a good start. Good point Lorka, and, yes, not to single out Inq per se, but I was starting to wonder the same thing in the past few months. Quite a few non players coming on the forum asking for detailed advice as to making and repairing shakuhachi, some posting (sometimes huge) photos of their progress, or lack thereof, and quite a few regular forum members with much shakuhachi experience trying kindly to hold their hand through a process that would be much more wisely embarked upon after having gained some skill actually playing the instrument. Now learning to play can take years - ask me - I know! And as you pointed out, affordable instruments are available for learning. So, I wonder, why so much interest in putting the cart before the horse, or the shakuhachi making before learning to play? If its crafting an instrument that's the attraction, why not craft something by hand that is less complex and therefore requires less hand holding to produce. After all if you need your hand held every step of the way, did you really make the finished item yourself?! 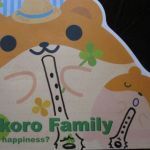 And, if its just for the sake of saving money so that you can have a flute to learn with while not breaking the bank, there are many better options, some of them discussed earlier in this thread, for purchasing a good flute to learn on. Yuu is one choice and though affordable and looks shakuhachi-like, when I tried one I found it to be extremely heavy and a dog to play, so I appreciated taking up the option of returning it. On the other hand, I have flutes from both Ken LaCosse and Perry Yung, that were incredibley affordable, play like a dream, are real bamboo, and will serve me well for years to come as I continue to slowly, very slowly, gain some skill as a shakuhachi player. Video of my shakuhachi right above. I had to cut piece of my improvisation bacause my luck run out and there was just wind blowing and no music. First thing that suprises me is fact every note requires quite diffrent lower lip position. Is that normal? Anyway, I think your struggle to convince me to buy any real shaku are succesful. Yes, you struggle quite nicely there. Nothing like a good pipe exercise to learn how to use lots of air. That's already a nice gain for the moment you'll have you first real shaku. But no kidding, nonetheless all the good intentioned and very right, but sometimes disheartening comments about flute-making you demonstrated not to be a quitter and that's the attitude needed. I think you will enjoy a nice flute someday soon. Surely, it's just a piece of bamboo ! Don't give up, but it's true, as your blow improves, your ability to audition your flutemaking or another flute, also improves. By the sound of your video, I think you may be blowing too hard, too soon. Thank you for all kind words and encouragement. I'd like to ask another question again: Holes I drilled using hand drill are still raw, untouched. I want to make them smoother, more comfortable for fingers. The pentatonic scale which in the flute is tuned probably needs some adjustments to be in perfect pitch. I'm satisfied with it's sound and I won't make any changes, though. So here's my question: Is that possible pitch will change during sanding? I just want to remove splinters caused by drilling, nothing serious. Cool! You're getting sound!!! I know the comments about making a shakuhachi before knowing how to play have a lot of validity, but that must be quite a thrill to just make one without ever having played and getting sounds out of it, even if you can't tell if the crudeness is your playing or making skills. Cleaning off the roughness will not alter the pitch, it should clarify the sound, don't round off the upp/outer edge, the inner edge can simply be cleaned but further bevelling will alter the inner dynamics. Making a hole larger will raise the pitch and increase the volume. Perhaps, if you are going to make several flute, don't be too shy about exploring what happens when you make changes, you win some, you lose some, but you always learn some. I respectfully disagree. The acoustics is quite clear about this: no sharp edges anywhere in the bore. Slight rounding of the upper edges is good practice, as is slight rounding of the lower edges of the toneholes. PVC is too thin to round enough to cause detectable changes to intonation. I'm not so sure we disagree, perhaps more to do with a definition of 'rounding'. I also refine any hard edges but 'round' is more extreme than this, 'bevel' is different again. You can hear I'm loosing breath very quickly. How to extend lungs capaticty or do anything else that would fix this? That's really annoying when I can't blow note more than few seconds. I know I lack of patience and probably trainging would be the best cure but any sincere advice won't do a harm. Btw, the avatar I aquired is generated automaticly or somebody was playing artist? Anyway thanks, I like it. I don't think you are trolling at all. It is brave of you to put up a recording of yourself like that. If I may offer a suggestion which others can either agree or disagree with.... First, get a teacher, pronto. Second, get the Koga book, with the simple (ish) beginner pieces. Once you start tackling the notation you will start to enjoy it. This takes time, but life is not always a rush to the finish line. You are being forceful, you are pushing and using strength trying to command the flute to do your bidding. This is the first natural mistake people make. Sadly, the harder you push, the more resistance you will find. Shakuhachi smashes egos. It is/was, after all, an instrument with strong ties to the idea of Zen. One of the first things it breaks down is your illusion of dominance and strength. I remember huffing and puffing and trying to force the sound to come out. But shakuhachi is elusive, in so many ways. Only when you give up and stop trying to force your will on the instrument, does it start to greet you. Shakuhachi will teach you humility, patience, and perseverence. These are all things worth cultivating. It will teach you these by being stubborn, shy, mysterious, and sometimes a bit of a tease. Don't worry. In a way I am saying don't push it, but relax and let go, and the sound will come to you. Awful advice, I know. It sounds like worthless hippy-esque garbage, but I swear to you, it will work. Put your efforts aside, and just breath into it. Focus on the breath and try to almost forget about the shakuhachi for awhile. The sound will come to you once you have given up trying. Instead of a big pushy breath, just sigh ligthly into it, almost with a whisper, and with no force. You will notice results that will encourage you to continue. Don't get caught up on this though. Any one practice or viewpoint overused becomes as much a problem as an aid. No. I think this is very useful and eye-opening. Funny, how soul of Zen can be contained in a flute. I will have to try. Growing in society based on European way of life I was teached people are masters of world they inhabit and nature must bow to them, adapt to their needs. Legacy of ancient Greece philosophers. What a pitty we use to think, that strengh is best mean to control stubborn. Asian, and Japanese specially, philosophy told me something entirely diffrent, what all people hear, but only few really listen - that people are part of nature. Neither superior, nor inferior - just equal. I think Avatar (the movie) was kind of shock therapy that reminded this to all who watched it - we need to face our heritage - I believe nature would welcome it's prodigal sons with relief. Of course I will keep your advice in mind and use it when will be alone enough to not be disturbed. Other's people presence is stresful when you can't play well. If I may offer a suggestion which others can either agree or disagree with.... First, get a teacher, pronto. In Poland, where I live, finding shakuhachi teacher would be a miracle. Only lessons I can think of are online. Personal teacher would be great. Nothing's worse than teacher with a lot of students. Is it possible to focus on one's skills then? Besides, until I get real shaku I can't seriously think on getting a teacher. I don't want to complain. I just want to say many of your sincere advice I'm just unable to use. How to extend lungs capaticty or do anything else that would fix this? It sounds like you overdubbed it with some awesome playing by the time i got to it, but if it's anything like your first video it's not a lung capacity problem. You're blowing way to hard. You kind of got to the inside by smashing down the door. Now you've got to learn to walk up to it and open it. Ie., it's great that you found the tone that way, but it doesn't take nearly that much breath to get the flute to speak. It's a common absolute beginner mistake. 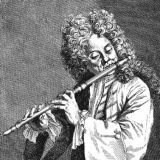 A teacher is an almost essential thing ("almost" because there are always a few prodigys out there) for someone who hasn't played any kind of flute before. If you're really getting that Yuu, make sure you take advantage of the included lesson from Chikuzen. In the meantime, relax, it'll come with time. BTW, I can relate, even though I've played flute for quite a while so getting a sound out of a shakuhachi wasn't all that tough, when I made a pretty good stab at learning Turkish ney I went for weeks blowing into it for a half hour a day and only getting even a peep of a non-wind sound at most once a week.